State Rep. Pamela Powers Hannley says she's more progressive than her younger opponent in the Democratic primary for Legislative District 9, which voters will decide on Tuesday, Aug. 28. "I completely disagree with his economic policies," the incumbent says about newcomer JP Martin. "In our race, the progressive is the baby boomer, and the conservative is the 28-year-old." Powers Hannley is running for re-election, as is incumbent Rep. Randy Friese, in one of the most competitive legislative districts in the state—38 percent of the voters are Democrats, 31 percent are Republicans and the rest are independents who could swing the November general election in either direction. Legislative District 9 is home to a mix of voters who live in central Tucson, the Catalina Foothills and the Casas Adobes area. Powers Hannley has a Masters in Public Health from the University of Arizona and has worked mostly in healthcare and journalism. First elected in 2016, Powers Hannley says her two greatest accomplishments in the Legislature were both on bipartisan bills. 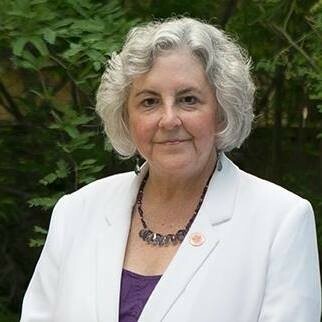 Being one of the few state lawmakers with a medical background, she was part of the Democratic team that helped negotiate The Arizona Opioid Epidemic Act, pushing for provisions that would shield people involved in drug overdoses from criminal charges if they call 911, expanded access to the overdose reversal drug Naloxone and the creation of a helpline with free and affordable references to resources for addiction. Powers Hannley has also twice been a sponsor to an Equal Rights Amendment, but failed to gather enough support to bring it to a vote. She hopes if more Democrats get into office this year, there could be a chance of passing it. So far, 36 states have passed an ERA. If two more states pass one, it could become an amendment to the U.S. Constitution that guarantees equal rights under the law to men and women. In 2016, Powers Hannley ran on opposing tax cuts. Thanks to Red for Ed, more Democrats are consistently opposing tax cuts after the movement pointed out the direct correlation between over a billion dollars in corporate tax cuts and corresponding cuts to public education. "I voted against every tax cut and tax credit that they had in two years because I think we should spend the money on education," Powers Hannley says. "That's where the money for the schools is. We owe the schools like a billion dollars. It's right there. They gave it away." The state budget is more than $10 billion. To restore funding for Arizona's education system at all levels of education, from preschool through higher education, Powers Hannley says the Legislature needs to turn around some of the state's tax cuts. According to the Arizona Center for Economic Progress, in fiscal year 2016, Arizona allowed $13.7 billion in tax exemptions, deductions, allowances, exclusions or credits on things that include corporate income tax, horse vitamins, fine art to out-of-state dealers, jet fuel and other luxury items. Powers Hannley says businesses have to choose whether they want an educated workforce or more tax cuts. She suggests public banking as a way to boost the economy by creating low-cost and no-cost loans. Public banks, as opposed to private Wall Street banks, are owned and operated bylocal governments, returning profits back into a jurisdiction's budget to be spent on the public good. Giving small businesses easy access to funds that can grow their business, rather than tax cuts, is a different way to build local, small businesses. Public banking has been discussed in the Arizona Legislature with bipartisan support. "You're making a return on your investment," she says about public banking. "When we're just giving tax cuts, we're just giving the money away. We've got no return on investment unless trickle-down economics actually works someday." Powers Hannley's approach is a bit too left-wing for her challenger JP Martin. He's progressive on all the hot-button issues like immigrant rights, gender equality, gun regulation and better funding for public education. 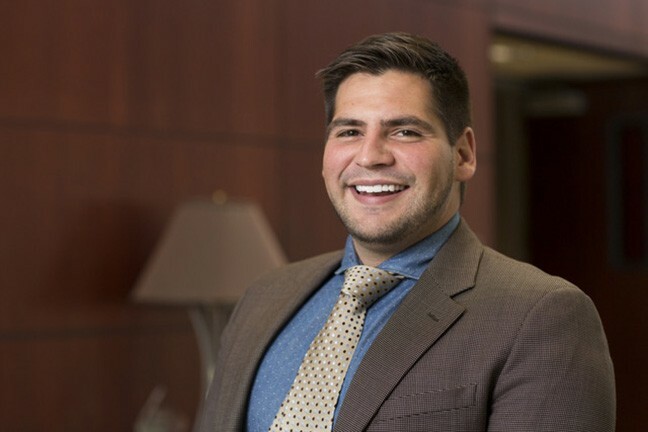 But unlike Powers Hannley, the millennial entrepreneur says the state Legislature should increase tax credits for angel investors, groups or individuals who provide private-equity investments for business startups. Arizona has an Angel Investment Tax Credit Program, which currently has a $10 million cap over four years. Martin thinks it should be expanded to $20 million. Martin is involved in Startup Tucson, an organization that offers information and educational events for local startups. He says the economic assistance to young businesses in Arizona is lean and the state should do more to support entrepreneurs and small businesses in order to diversify the local economy. Martin experienced the competitive handicap Arizona businesses might face when he took part in a tech startup competition. He says being from Tucson made it hard to get noticed. "We were competing against people from Irvine and people from Austin, people from Silicon Valley even," he said. "And it's tough when people see Phoenix as the India of Silicon Valley. What does that make Tucson—Bangladesh? It's not the place you would go to bring about tech innovation." He says the tax credits are an incentive to get people to invest within Arizona rather than another state that may have similar credits. "If you can bring in 10 times more than you spend, that's when you can secure this type of investment," he said. "If we, as Arizona, give $1 but the company that people are investing in is producing 10 times the economic impact, it's not a giveaway whatsoever." According the the Arizona Commerce Authority, the Angel tax credits haven't benefited the state at at 10-to-one ratio, but rather two-to-one—nonetheless a success, generating $44 million in tax revenue from $20 million in credits. Martin's entrepreneurial experience includes an app-based medical startup company for home-based primary care called Better On Call. While the startup fell through after 18 months, he says the experience opened his eyes to the challenges that face aging people and their families who live in the district he's running to represent. Another idea that sets Martin apart from many progressives is that rather than outright opposing the Rosemont Mine, he thinks the community should focus on working with Hudbay Minerals, should the permits they require go through, to have a hand in assuring environmentally-sustainable practices. "Evidence-based discussions and viewpoints and arguments hold more weight than this rhetoric that's taking us further apart," he said about arguments over Rosemont. "When we do get further apart and do just say, 'no mine,' there's gonna be a mine anyway, but you're just left out of the conversation." Like both his opponents, Martin thinks the state needs to better-fund education on all levels from early childhood education to higher education. He's also against the expansions of Empowerment Scholarships, which would move more money from public education into private schools and will be decided by voters in November. But his view on the Invest in Ed initiative is a bit more tempered than some progressives. He says it's a great idea because the Legislature hasn't come up with a better alternative but that the Invest in Ed initiative will launch Arizona into one of the top income tax brackets. "We're gonna have two or three years to correct that, or we're gonna see people leave," he said. "I think everyone should be willing to say, 'I'm going to invest in education.' And yeah, you can totally tinker with the numbers to make sure everyone pays at least a little bit more in their income." On Martin's linkedin profile, he calls himself a "Globalist Entrepreneur." 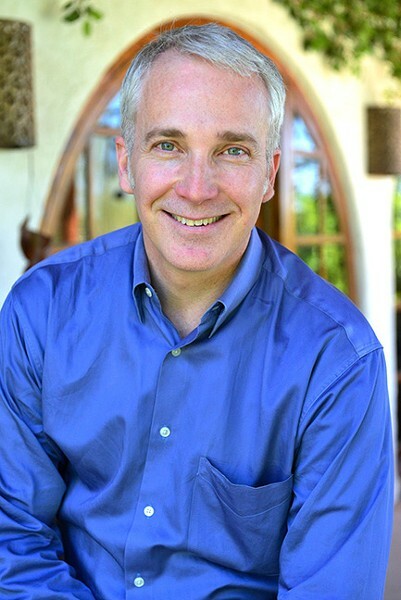 He's the executive director of the Global Chamber Tucson, a chamber of commerce that works to connect metro hubs around the world to share resources, information and connections. He also lists a number of organizations he volunteers with, including Equality Arizona, Big Brothers and Sisters of America and Tucson Young Professionals. He was campaign manager for Pima County Attorney Barbara LaWall's 2016 re-election campaign. After four months with the campaign, he ended up suing them for not paying him, according to an Arizona Daily Star article. Following Martin's business-oriented approach to government, it's not entirely surprising that he was registered as a Libertarian for nearly four years before switching to the Democratic Party at the end of 2015, a fact he used to justify his poor voting record. He's only voted twice: in the 2016 presidential primary and general. When the Tucson Weekly asked Martin about this, he said that he didn't have primaries to vote in as a Libertarian. When asked why he didn't vote on non-partisan ballots, he said: "I should have definitely gotten more involved in voting for those, but I just didn't... Those damn millennials and their lack of voting." In his second term, he served as assistant minority leader, where he says he was able to push back against the Republican majority as well as negotiate to achieve compromise, like helping pass a bipartisan bill that added a new vehicle-registration fee to pay for highway patrol operations, freeing up other funds to pay for the road construction and repairs they were intended for. Friese also sponsored a bill that allows veterans to display a veterans plate along with an alternative-fuel sticker, which allows people to drive in the carpool lane at any time. And he pushed Republicans to increase spending to subsidize group homes for people with disabilities. The most important issue for Friese is education funding. He says the state should better fund all levels of education from preschool through college, though he'd like to see universities be more accountable for how they spend state money, using it solely for educational purposes rather than buying property or building a stadium. Friese is glad Gov. Doug Ducey came up with a plan to give teachers 20 percent raises rather than the governor's original 1 percent offer. But he and other Democratic legislators voted no on the budget that included the 20 percent raises to send a message: "It's great to see this money going (to education), but we should be doing more. We can be doing more," he said. He's against the Empowerment Scholarship Account expansion and hopes the voters say no to it. He has no problem with private schools but says they shouldn't be paid for with public money. Friese thinks the Invest in Ed initiative is a fairer way to raise money for education because it would only affect the highest income bracket, rather than sales tax, which affects everyone. But he does wish the proposal had been spread over more tax brackets, with other high income earners below the top 1 or 2 percent paying a share. He says another way to raise more taxes for education would be to tax some luxury services. Unlike Powers Hannley, Friese said he's not absolute when it comes to opposing all tax cuts, though he leans strongly in that direction. He did vote to reauthorize the Angel Investment Tax Credits, along with 16 other Democrats. "We felt comfortable supporting that because there is some information that return on investment is high," he said. "If I'm going to support a tax credit, it needs to have an excellent return on investment that's demonstrated or it needs to be helping poor people." Gun safety is another big issue for him. He marched in local student rallies following the Parkland, Florida, shooting. And he says he wants gun safety bills to get committee hearings, but they never do because Republican lawmakers block them. He says Ducey's school safety plan, which came in response to a national public outcry for gun regulation, was terrible and could even make it harder to legally confiscate guns from someone who's dangerous by adding layers of red tape. Every Democrat in the House voted against it, but it passed on party lines and stalled in the Senate. He also said it would have given Ducey a campaign plank to say he had done something about gun violence and school safety even though the legislation was flawed. "It would give people a false sense of security," Friese says. "And again, it was vetted by the NRA and approved by the NRA. The NRA was a part of the process." Access to health care and making sure the state Legislature puts pressure on federal representatives not to cut federal healthcare funding is another issue important to Friese. One such healthcare program is KidsCare, which receives matching funding from the federal government. KidsCare subsidies health insurance to children from low-income families. But if the federal funding gets cut, there's a mandatory freeze on the state funding. Democrats had an amendment that would have uncoupled the funding, so lawmakers could consider to continue funding it even if the federal government were to pull its share, but it didn't receive any Republican support. "It is total partisanship," Friese said. "The bill and the amendment...would just uncouple that mandatory freeze and will say the Legislature must then decide whether we spend that money or not... Freeze KidsCare or spend tens of millions of dollars to continue to insure children in poverty? That's the question we wanted to ask ourselves."